A healthy start for the new mobile game. 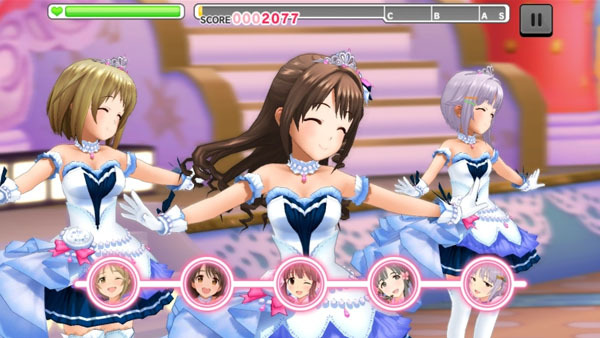 The Idolmaster: Cinderella Girls Starlight Stage, which launched in Japan yesterday for iOS and September 4 for Android, has topped four million downloads in one week, Bandai Namco announced. The game features over 20 songs and more than 50 idols, with more songs and idols to be added from hereon. You can choose to play in both 3D and 2D modes, customize your own room, and mingle with and train your idols.